glad you got some sunshine too today – it was a mixed bag here all day. 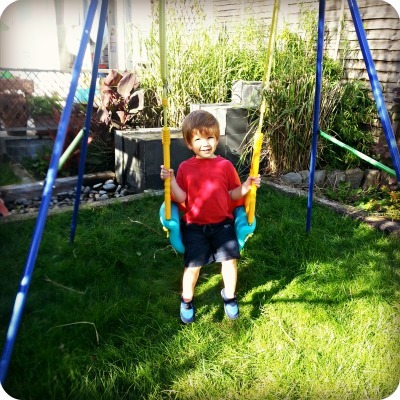 my son loved his swing in the garden, kept him amused for hrs….he use to find worms and put them on the swing and push them. Has he mastered self pushing yet? I remember hours of pushing all mine on swings! That looks like a comfy swing!